Gingerbread Biscotti - either plain or chocolate dipped! 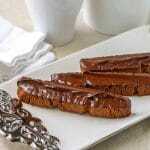 Gingerbread Biscotti – plain or chocolate dipped! Gingerbread Biscotti. Plain or chocolate dipped! Perfect for gift giving at the holidays, for hostess gifts, or for cookie exchanges! What better time for gingerbread biscotti? The holiday season baking is well upon us now and this recipe offers up a great treat for this time of the year. We have often chocolate dipped our gingerbread cookies in the past, so when I heard that a friend’s chef husband was making gingerbread biscotti, I thought this was a good reason to step that idea up a notch. 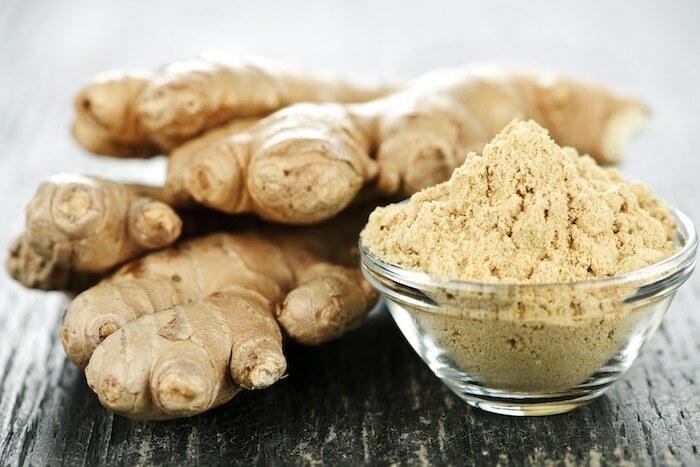 Fresh and ground ginger root . These store very well and make a great idea for gift giving too, wrapped in cellophane bags tied with a bright ribbon. These crunchy cookies meant for dunking in anything from cocoa to cappuccino would be a tasty and welcome gift for sure. Like this Gingerbread Biscotti recipe? You might also like to try one of the easy but delicious recipes in our No Bake Cookies Collection. Gingerbread Biscotti - plain or chocolate dipped! Gingerbread Biscotti - plain or chocolate dipped! Perfect for gift giving at the holidays or for cookie exchanges! Cream the butter and sugar well. Blend in molasses and water. Sift together remaining ingredients and blend together until dough forms. Chill 2 to 3 hours. Form the dough into two 3 inch wide logs and place 6 inches apart on a parchment lined cookie sheet. 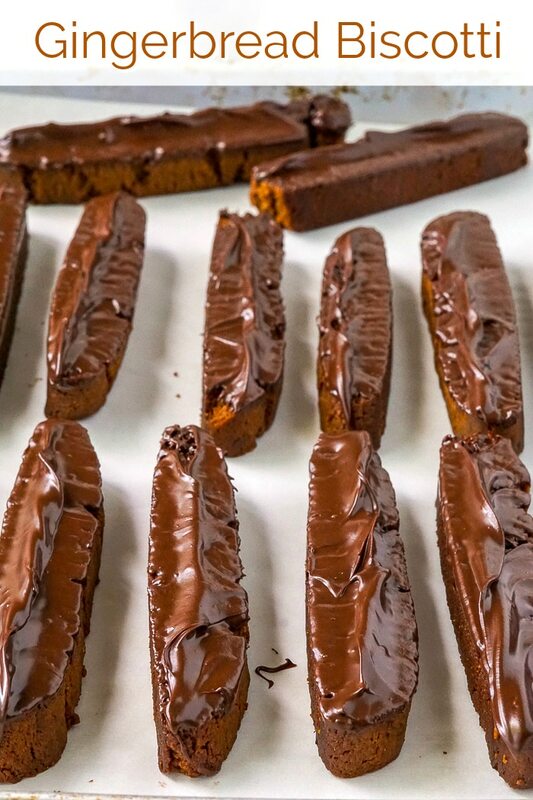 Bake for about 30 minutes at 350 degrees F.
Remove the biscotti from the oven and let cool for about 5 minutes before cutting the biscotti on a diagonal into ¾ of an inch thick slices. Place the biscotti back on the parchment lined cookie sheet and reduce the temperature to 300 degrees F.
Bake for an additional 15 minutes before turning the cookies over and baking for an additional 10 minutes. Cool completely. 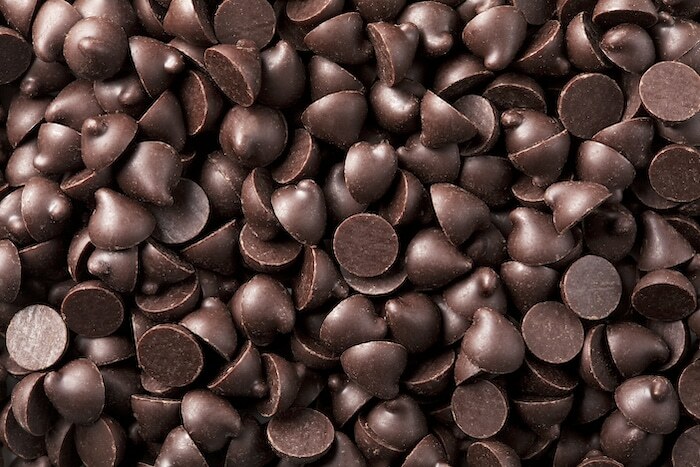 Melt 12 ounces of dark chocolate chips in a double boiler. Dip one side of the biscotti into the chocolate and let stand until the chocolate cools and hardens. About 2 dozen but you can make them smaller. Adding this one to my list !